The strongest formula on the market - contains up to 3000 mg of pure L-carnitine and effective supplements. Lose weight quickly and easily with this product! 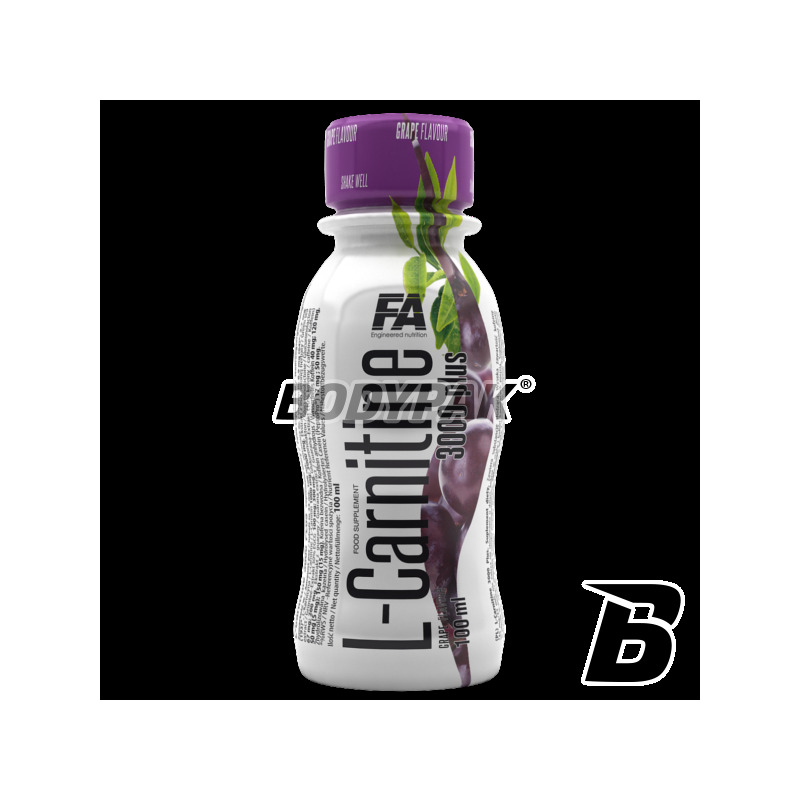 FA Nutrition L-Carnitine 3000 Plus is a dietary weight loss aid containing 4 physiologically active and effective operation of the substances responsible for burning fat and boosting metabolism. And recommended for people on a diet, working and exercising physically. Liquid form is very easy to use and consumption at any time, in a comfortable and practical bottle. 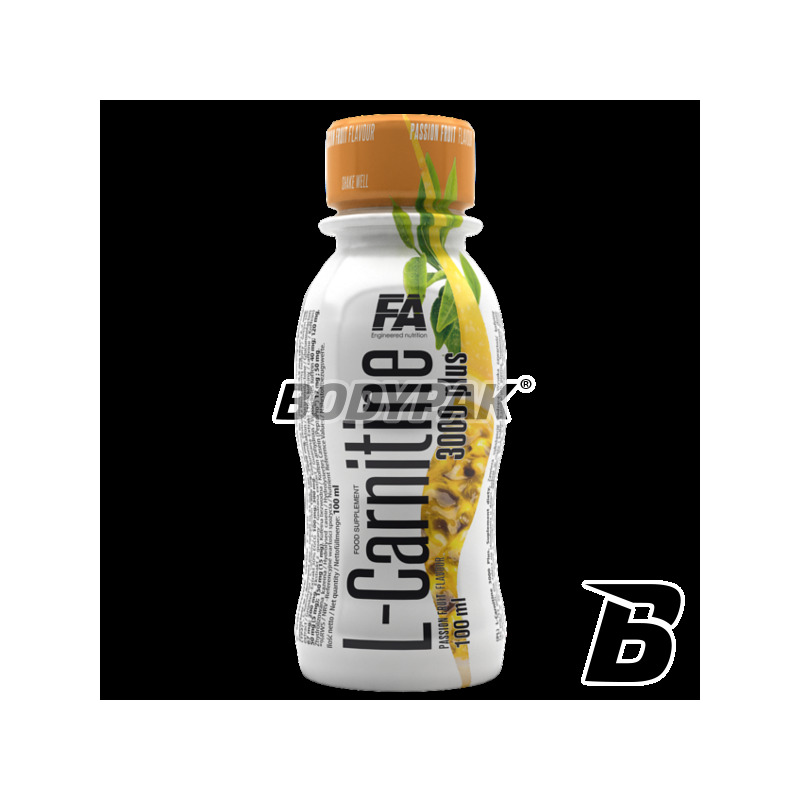 L-Carnitine 3000 Plus is the most advanced formula of liquid fat burner available on the market immediately assimilated by the body form. Designed for anyone who wants to effectively help your metabolism, release the extra energy and build a slender, sporty silhouette. 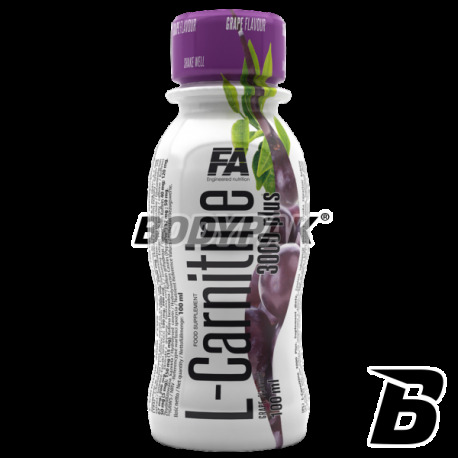 A special complex of 4 physiologically active ingredients contained in the L-Carnitine 3000 Plus works by a specific mechanism of synergy which increases the efficiency of the formula. Green tea with ginseng metabolize through an increase in energy expenditure of the body. Guarana increases the release of free fatty acids from fat cells (adipocytes) to the bloodstream and L-carnitine through increased their transport to the working muscle cells provides a source of energy necessary to carry out intense exercise. A synergistic effect of all the components is enhanced many times the operation of this special supplement. L-Carnitine 3000 Plus is the ideal pre-workout supplement, which, through multi-activity accelerates efficient fat burning trainees in both women and men. Because the L-Carnitine 3000 Plus, the optimal dose of active ingredients dream slim figure it is at your fingertips more than ever before! Składniki: woda, L-karnityna, regulator kwasowości (kwas cytrynowy), ekstrakt z liści zielonej herbaty (Camellia sinensis (L.) Kuntze), glukuronolakton, ekstrakt z nasion guarany (Paullinia cupana Kunth), kofeina bezwodna, aromat, zhydrolizowana kazeina (PeptoPro®) (z mleka), substancje konserwujące (sorbinian potasu, benzoesan sodu), substancja słodząca (sukraloza), witamina B6 (chlorowodorek pirydoksyny), sok z marakui 0,1%.